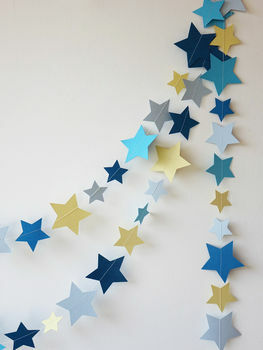 A fabulously fun handmade star garland. Reach for the stars with our gorgeous garlands, perfect for your little ones room, party or playroom! They would look great at your best firends baby shower or give as a special gift for that precious new arrival. 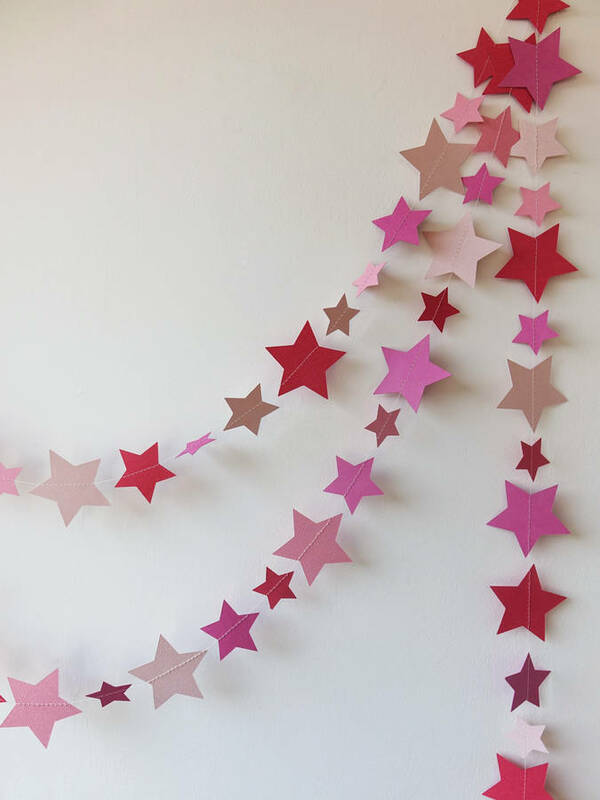 Lovingly handmade here in the UK, each one features 3 different size stars in delicous shades of pink or blue.